Uzwil (Switzerland), September 25, 2017 – Bühler celebrated the ground breaking for its Innovation Campus in Uzwil, Switzerland. Completion of the building is expected for the first quarter of 2019. This significant investment of over CHF 50 million, spent over three years, demonstrates Bühler’s commitment to innovation and technology, and to the workplace Switzerland. “This innovation campus will reinforce our innovation power and market leadership. It will help us bring together the smartest minds of the industry to create innovations for a better world”, said Stefan Scheiber, CEO of Bühler, at the ground-breaking. The innovation campus consists of two key elements: the upgraded technology labs and the new innovation building. The new building will build a bridge between the engineering and business world in the existing towers and the upgraded application labs. 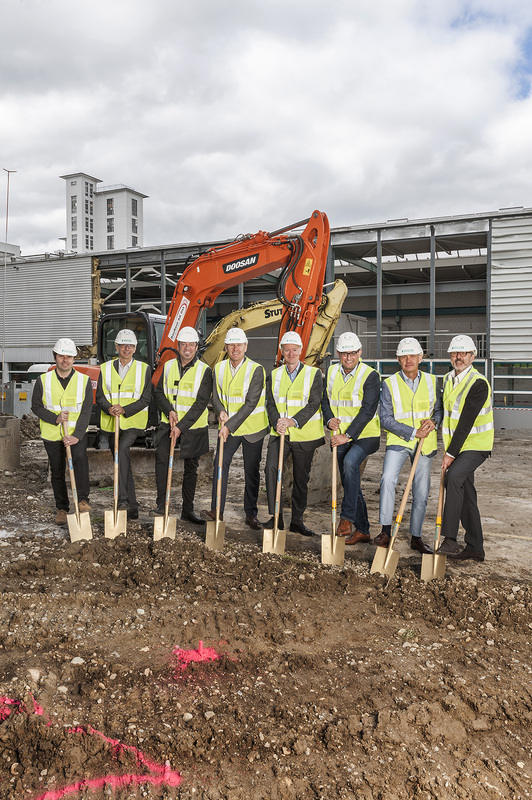 On three levels, the modern building will be the home for project teams of employees, clients, start-ups, students, and apprentices. It will feature an auditorium for up to 300 participants for large events. Collaboration and a “maker space”, a media center and a co-working floor with open and secured spaces for over 100 people will also be part of the building. Bühler’s apprentices benefit from a dedicated apprentice center featuring several training rooms. Reflecting Bühler’s strong focus on the food processing industry, open living spaces with a central coffee bar, a tea lounge and adjacent thinking spaces complete the building, making it a state-of-the-art workplace. “This building is focused on collaborative innovation,” says Ian Roberts, Chief Technology Officer at Bühler. “We are creating a collaborative space for all functions, all ages, and all knowledge holders. 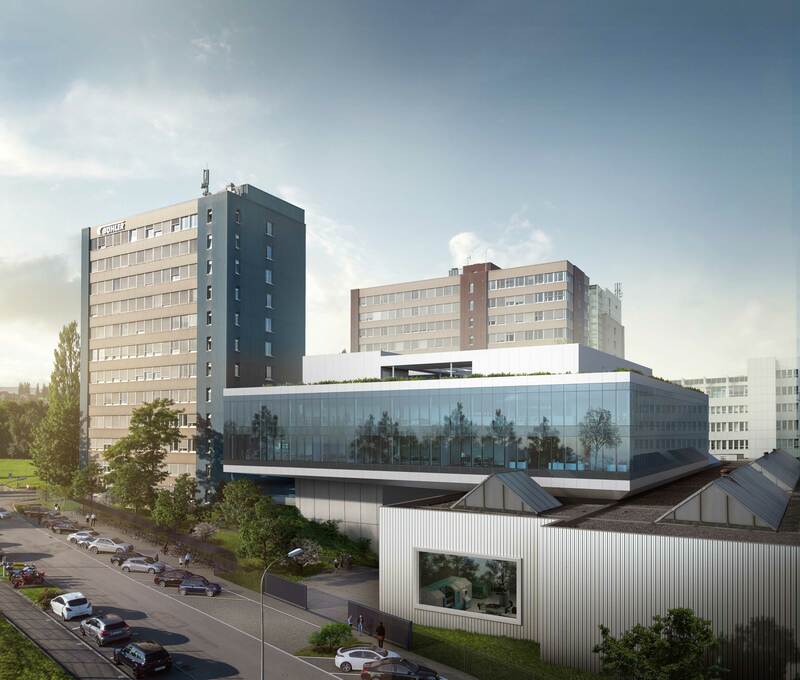 It will allow us to live and foster our innovation culture and test future work practices.” The new building will bring together Bühler’s network of partners, be they customers, start-ups, academics, apprentices, or suppliers, and create a link to the technology labs. 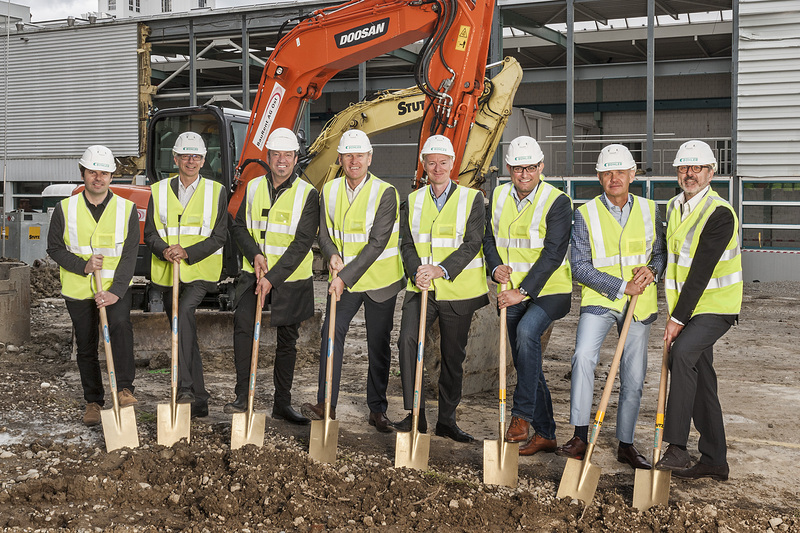 In the ground-breaking image from left to right: Elvis Pidic (Bühler Architect), Johannes Wick (CEO Grains & Food), Carlos Martinez (Architect), Stefan Scheiber (Group CEO), Ian Roberts (CTO), Samuel Schär (CEO Advanced Materials), Andreas Herzog (CFO), Burkhard Böndel (Head of Corporate Communications).